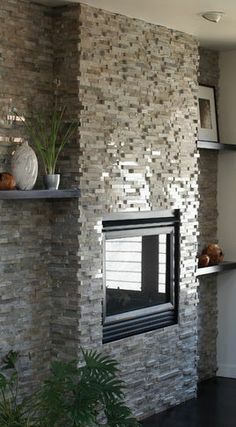 Ledgestone tile fireplaces are becoming more and more popular. Our team of experts work daily to bring to you the up to date design trends in a stone vaneer wall space. This fireplace had to be lifted off the ground to give the stones a more unique appearance.